This past week, I picked up a stipple engraving of #ChristianKarlJosiasvonBunsen (1791-1860). You would be quite correct in presuming that I did not know who the engraving was of especially since it did not show his name. I acquired this stipple engraving because of it’s artistic quality. It was published by #JosephHogarth of 5 Haymarket, London on April 17th, 1859. There is a black and gilt frame often used for displaying engravings which is called the ‘Hogarth frame’ which takes it’s name from Joseph Hogarth the frame-maker and not William Hogarth the artist. 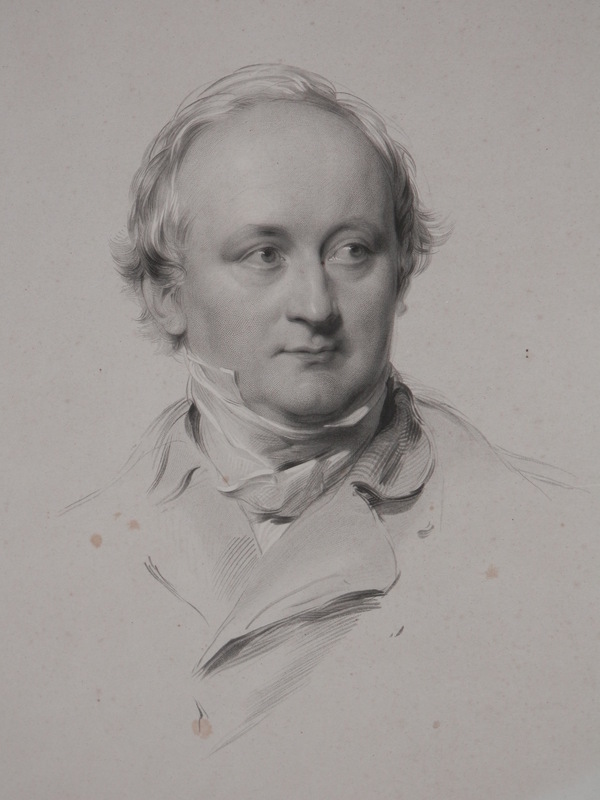 The engraving is taken from a drawing by #GeorgeRichmond (1809-1896), who is known as a portrait painter to the British gentry, nobility, and royalty. The stipple engraving is by #JohnHenryRobinson (1796-1871). Art historians believed that there were two persons with almost the same name. A JH Richardson and an H Richardson. After my reading, I lean toward believing that this is one and the same person. 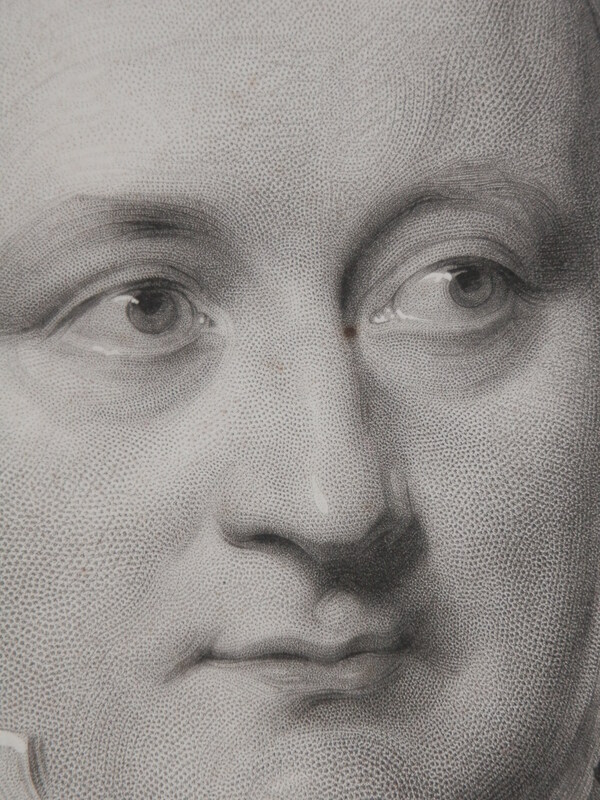 Robinson was influential in getting engravers admitted into the Royal Academy. Robinson engraved portraits and illustrated books and engraved the plate for the first Belgian postage stamp. Baron von Bunsen was a theologian and Prussian diplomat. He founded the German ‘Evangelische Gemeinde’ as well as preparing it’s liturgy. He represented King Frederick III and IV. He was the Prussian minister in London where he became a fan of Anglicanism. He was influential in establishing the Anglo-Prussian Jerusalem bishopric. He authored several religious and historical books, none of which are of great importance today. The close-ups show the wonderful detail in this work. A superb engraver with a deftness touch. 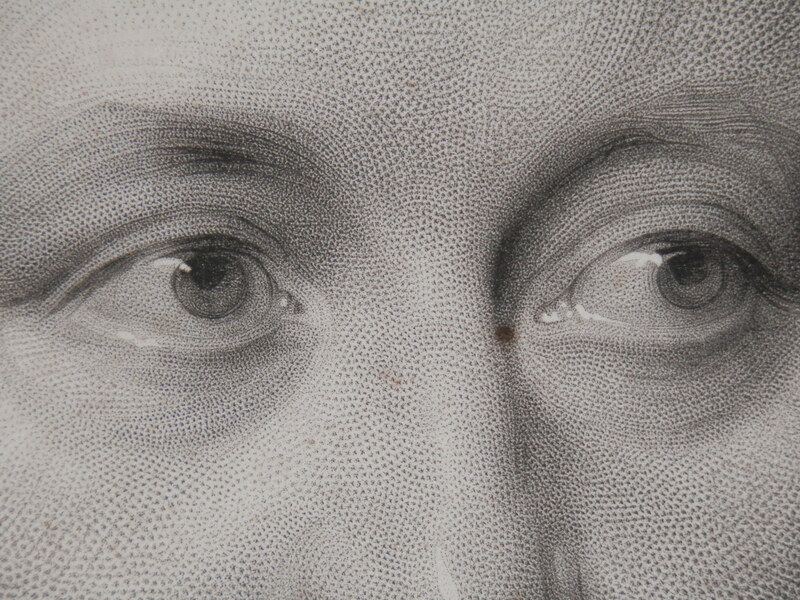 This entry was posted in Etching and tagged Christian Karl Josias von Bunsen, George Richmond, John Henry Robinson, Joseph Hogarth, stipple engraving. Bookmark the permalink.